Whether you are looking for an 8 foot single plenum grain dryer capable of drying 340 bu/hr, or a 24 foot diameter Tower Dryer capable of drying 7000 bu/hr, Briney Brothers has what you need. 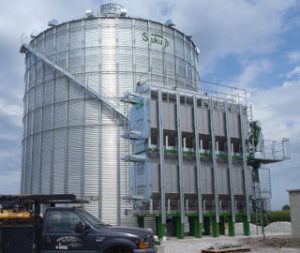 Every Sukup Grain Dryer is packed with exclusive features that help them outperform the competition. Every Sukup Grain Dryer is backed by our years of grain drying experience and dedication to outstanding customer service.